In this blog series we’ve looked at Jesus’ interactions with people and saw that when dealing with wayward sinners He was gentle and patient, but when dealing with self-righteous religious people He was blunt and even offensive. We observed that the reason He was so straightforward with the Pharisees is that He wanted to break through the fog of pride that kept them from seeing their need of repentance. Jesus’ first and foremost desire is to save lost sinners, whoever they are. Last week we ended with another question: If Jesus was gentle and compassionate with wayward sinners, but blunt and offensive with the respected religious leaders of His day, how might He relate to 21st century well-churched Christians? What would He say to us? The answer to that question depends on how we respond to Jesus. Do we come to Him with broken hearts seeking forgiveness for our sin? Do we fully acknowledge our need of Him and put our confidence in none of our righteousness, but in His alone? Then Jesus rejoices over us and welcomes us into His kingdom with open arms (see Luke 15). The humble, repentant sinner will always find a gentle and forgiving Savior. But if we allow ourselves to become prideful and confident in our status as “good Christians,” and if we imagine ourselves to be better than the people around us, we may find that Jesus, determined to break our self-induced spell of spiritual arrogance, becomes just as blunt with us as He was with the Pharisees. God’s Word still convicts today, and whenever we allow pride to creep into our hearts, Scripture stings like a slap in the face. No one likes to be rebuked. But since the convicting rebukes of Scripture are for our own good, we should rejoice that God does not let us drown in self-delusion. There are times when I am the whitewashed tomb. I look the part, talk the part, and act the part of a “holy saint,” but in my heart I harbor bitterness, criticism, or pride. I am a hypocrite. I judge others for their failures and wonder how they can call themselves Christians when they say and do that, but I excuse my own sins and ignore the times I’ve failed in the exact same way for which I’m condemning others. I’m thankful that Jesus bluntly spoke these words, and through the Holy Spirit still speaks them to me today: “Do not judge, or you too will be judged. For in the same way you judge others, you will be judged, and with the measure you use, it will be measured to you” (Matt. 7:1, 2). for God so loved, that He gave…i’ve found truth/Truth to be terribly offensive to most. Jesus loved the pharisees…that’s offensive to most, often b/c we see ourselves as “better than.” better than the pharisees and better than those who were objects of pharisaical condemnation. to tell most that we’re just as bad is offensive. we find it difficult to accept that the same Jesus who ever-lives to intercede for US also interceded for the unrepentant sinners who were literally killing Him (forgive them, Father). even more difficult to swallow is the notion that those sinners represent US, they are US…we’re no different. at some point, that’s us – unaware of the depths of our own depravity; thus, unaware of how great a price His blood has paid. even some of your commentary echoes it, “The humble, repentant sinner will always find a gentle and forgiving Savior.” Christ came against my way of thinking when i wan’t humble, wasn’t repentant, wasn’t running toward Him, but away, and i still found a gentle and forgiving Savior, a pursuing God who’d rather abandon His rules than abandon me. we want rules, tho. we want to depend on a predictable order…that there must be repentance before grace is offered, that the law must be kept, and if not kept, the predetermined penalty must be meted out. oh, but then grace comes in, Jesus comes in and offends our entire way of thinking, believing, living, and most importantly, dying. i’m so glad to have such an offensive Savior, willing to offend. 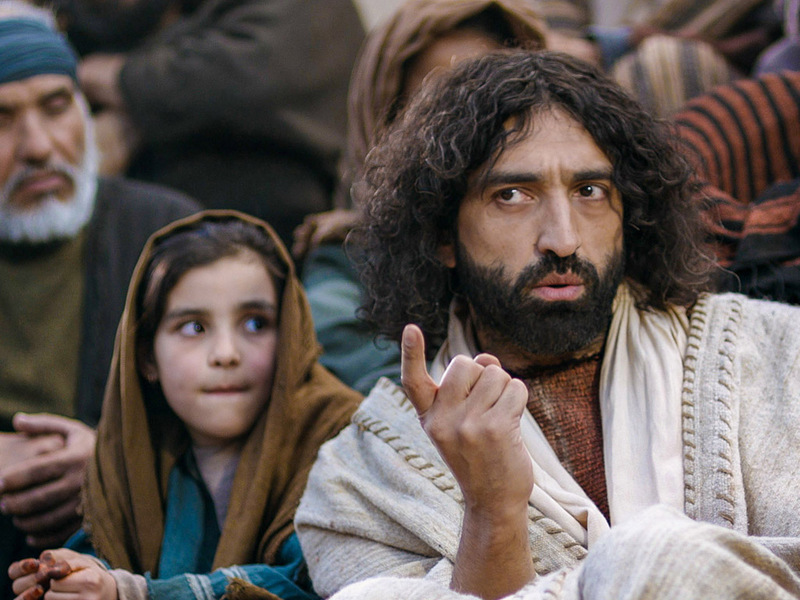 I didn’t get into it as much in this series, but when Jesus tells the parable of the Pharisee and the tax collector, He made it clear that the worst sinner who falls on God’s mercy is more righteous than the best “Christian” (He didn’t say Christian but it applies) who thinks he is already righteous. But even then repentance is a gift from God, which is a point you highlighted. Rom. 2:4 says that it’s God’s kindness which leads us to repentance. Truly salvation is by grace through faith and not at all about our works. Great post! Boy, do we need to hear this today. We are so quick to look at others and not at ourselves. Jesus is loving and kind, but He is also firm and strong, and sometimes this can be offensive. But praise the Lord for His “offensiveness” in our lives. And praise the Lord for an undiluted message that you presented here. Blessings! Thanks, man! I’ll check your blog out. Looks like I need to update my Hub list, too.